I love the site and I think it was great. It’s exactly what we’re looking for. Tim : Ok, sure. So we look after dogs, primarily. But also because again, we also focus on the other end of the lead as well. So it could be working purely with the dog in regards to you know rehabilitation or if we’re helping seeing your dog as they start to slowly getting arthritis and improve the quality of life. Sometimes we have clients that also we take into account what’s happening at the other end of the lead, which is a combination of both of us. Mimi: That’s right. So I deal with the emotional mindset of the owner and Tim deals more with the physical side of things for the dog. Liza : Yeah and you guys have quite a natural, holistic approach to how you treat both the humans and the dogs, isn’t it? Tim : Yeah, I mean I’ve seen them and they’re so linked. It’s very common if you’ve got a stressed dog, you probably got a stressed owner at the end of the lead. Or if you’ve got a dog that maybe – a little bit overweight maybe because the owner hasn’t got that degree of health awareness, that maybe that something reflecting off at the end of the lead too. If you think you’ve got a healthy owner chances are you’re probably gonna have a healthier dog. Mimi : We work very closely also with the vets. So we compliment what the vets do. 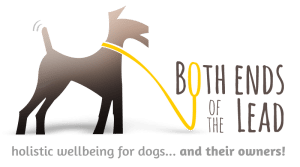 So what Tim does, for example, he has all this range of services like laser therapy, acupuncture, heat therapy, stretching conditioning massage, some manual therapies – that’s in addition as well to enhance what some of the vets do and also preventative, which is a key thing. Taking good care of yourself and your dog. Liza: Yeah absolutely. Cool. So can you maybe share how did this project come about? The project that we worked together. Tim: You know, initially we have some developers who built our initial site and they were in the UK, they were some friends of mine over there, and although they did a great job, as we continued to grow, we just needed a site to grow with us. The site wasn’t responsive, which is very important these days. We also need the site to be a lead capture tool. Also the old site was kinda cluttered so we need something a little bit simpler, a little bit cleaner, and yeah that was really how it came around, yeah. Liza: I remember when we first met, it’s like the next level to reflect the growth of your business and where your business became. Cool, okay so – when you were looking for a supplier for this project what was some of the requirements that you guys had? Mimi : Well another thing is, when you mentioned growth, with the advent of the internet age, a lot of people are going online and doing searches much more. We knew that was on the cards at some point, so we needed to make sure the website was designed in such a way that would allow that flexibility. For us to be able to start looking at providing online services in the future. So that was certainly something I know that we discussed with you at the outset as well, to allow for that scope going forward. So that was done with expertise in the online space that’s very important to us. We wanted someone, based on our previous experiences, and unfortunately we had not have the best of experiences up until you, in relation to IT providers. We have been let down unfortunately in terms of what we put down as the expectations and they weren’t met. So, it was really important that we were really clear from the outset, we’re both on the same page in terms of what we wanted. Also, you have a very good understanding of our business, not just from an IT perspective but also from a bigger picture, business perspective because they go hand in hand. So that was very important to us, that you did have that business savvy perspective on what we wanted to do to deliver to the market. Mimi: The other thing too was responsiveness. Because that again was something we’ve been let down in the past and you have been very responsive which is great. And also just delivery on time, deadlines, time frames things like that. Because again that has not happened with us in the past. So that was a key component for us. Liza: Yeah and you brought up a really good point because at the end of the day technology is just a medium. It’s about the business outcome and the technology needs to support the business vision. Ok, cool thank you. I guess, you’ve kinda touched on it, what were some of the concerns that you might have at the beginning of the project or when you’re doing your investigation, were there any concerns at all? Tim: The end result wouldn’t actually match what we are looking for. One of the key things is we wanted a degree of control over making changes within the website without necessary having contact somebody with a simple change that we could do. And that was great because we got that, it was very important to us because things constantly change, ideas change based on feedback from clients that these people looking for different things. So we want it to be able to at a drop of a hat be able to change things on the site to reflect that. Liza: That’s a really good point. Mimi, is there’s something you want to add to that? Mimi: Nope. I think pretty much he said it. It’s the trust element for us. Making sure we do diligence obviously beforehand, speaking with your other clients. Obviously appreciate that it is different with everybody but now the important thing is that you would deliver what you said you would, which you have. Which is brilliant and we have seen an ongoing relationship which is fantastic and we’re looking for someone to grow with and not just a you would deliver what you said you would, which you have, which is brilliant, and we have seen an ongoing relationship, which is fantastic and we’re looking for someone to grow with and not just a one-off project. Because it’s obviously important that you understand our business and how the back end works, we’re quite hands-on with our business. We like to know how things work and also how we can do it ourselves at times. So, they were the key things that’s it for me. Which obviously I’m satisfied. Liza: Cool. Awesome and what was the one thing that stood out for you in us as working together? Tim: I think for me. It’s your flexibility and that you were contactable. You are there to support us. We can call you very easily, we can arrange to see you very easily. We’re talking to a real person, that real person we can talk in front of. So for me, that was the one thing for me. Mimi: Yeah for me, I think it was a real value because you always take the time to talk to us. We might come to you with a question and you throw something back at us and look at a different perspective, which is great. And take the time to kinda go through it as well. Rather than kinda, like a clock watch and go oh you paid your fees, so moving on to the next client – that’s certainly not what you’re all about which is brilliant. So it’s all about nurturing the relationship and that’s what you do. You know it all comes back down to trust again. Certainly for me. So that’s a key thing. Liza : Cool, great. What did you think of the outcome when you first got your project back? Tim: It’s great. I love the site and I think it was great. It’s exactly what we’re looking for. It’s clean and simple but it’s still you know puts across the information we want to cross and the feedback that we have from it has been fantastic. We’ve got clients have said what a great site. Events that we’ve network with also came back saying they really like our site, it’s very informative, very easy to navigate. We’ve got nothing but good feedback from it so well done. Mimi : The lovely combination, it looks professional and it’s clean. It also has that personal touch, definitely important as well. Today, with so many websites around and sometimes you lose that sort of direct face to face connection. You also need to send back and relay that through the website and not make it too impersonal. So I like the balance of that. Liza: Cool. 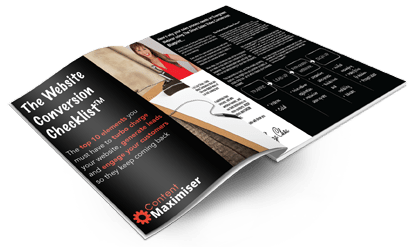 Awesome, so would you recommend Content Maximiser to other business owners? Tim: Yeah, of course. Absolutely. Without hesitation. Mimi: I’ve recommended several people to you. Liza: Yes. Thank you so much and I appreciate that.